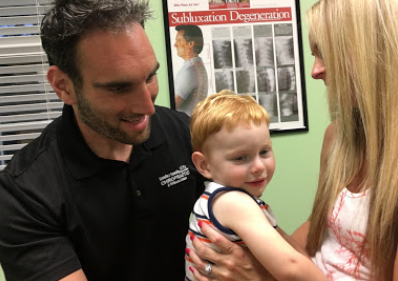 Sandez Family Chiropractic & Wellness Center is proud to be of service to families in Cary, Apex, Holly Springs, Morrisville, Chapel Hill, and the RTP. Our mission and purpose is to help lead families to optimum health and function, naturally. We are passionate about giving you and your family a drug-free, non-invasive, safe and effective way to achieve greater overall health. We provide the highest quality of chiropractic care, including massage therapy, as well as guidance in nutrition and exercise. Dr. Sandez is certified to work with pregnant women for prenatal chiropractic care and has additional training in chiropractic pediatrics. We care for patients of all ages and types, including infants, children, teenagers, adults, athletes and seniors. There is not a “one size fits all” approach. Dr. Sandez modifies the adjustment techniques and therapies used based on your age, size, and unique presentation or need. Most other health professionals treat your symptoms. We differ because we identify the underlying cause of your problems. 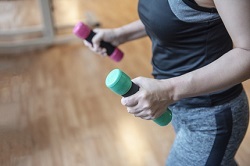 Our goal is to correct the problems, relieve your symptoms and also improve your function, leading you to greater overall health and well-being. Dr. Sandez focuses his care/treatments to your specific needs however encompasses a holistic, full-body approach. He is trained & skilled in Spinal Adjusting as well as Extremity Adjusting, separating him from many of his peers. 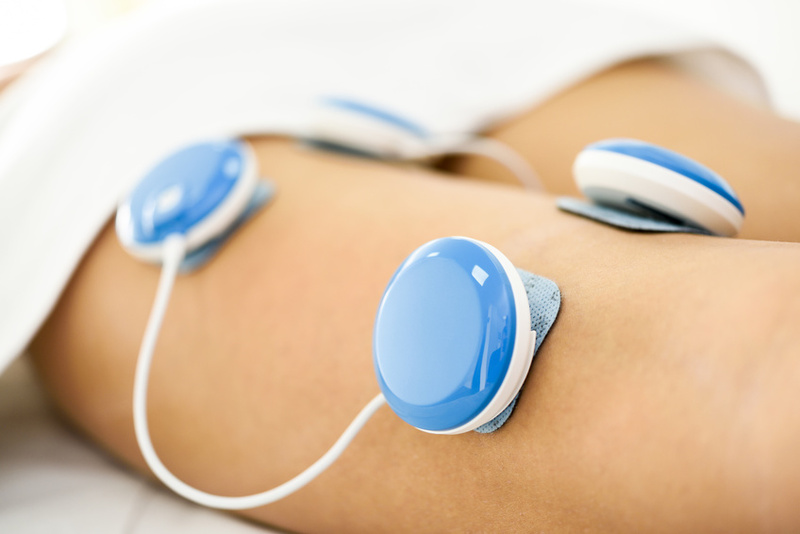 Utilizing small electrical impulses, EMS is used for rehabilitation purposes after musculoskeletal injuries, such as damage to bones, joints, muscles, ligaments and tendons. We believe that our family focus at Sandez Chiropractic really does set us apart from other practices. And it begins for our patients during pregnancy, infancy and the formative childhood years. When problems in your spinal alignment occur due to a trauma such as an auto accident they must be taken care of as soon as possible. Over time these problems often can become even worse when untreated. Dr. Sandez will give you his best recommendation for care based upon your exam findings, unique needs and health goals. But you always have a choice at our practice. It is a system of integrative medicine based on the diagnosis and treatment of neuro-musculo-skeletal conditions. The goal of Chiropractic care is to heal patients and improve quality of life without the use of drugs, injections and surgery. Science tells us that immobility or loss of motion in the joints leads to degeneration and disease. Chiropractic care focuses on findings misalignments in the joints, restrictions in movement and abnormal stress on the nervous system. These restrictions or misalignments often cause irritation/pressure to the nearby nerves, especially those of the spinal column but also in the extremity joints. When nerves get irritated/pressured people may experience dysfunction and pain in muscles, organs or other parts of the body. Chiropractic adjustments restore proper alignment to joints, improving the motion/mobility to that area, relieving pressure to the nerves and decreasing the effect on muscles and organs. This leads to natural healing and improved quality of life. YES! However just like any other form of healthcare, unusual and rare affects are possible. Simply put, if chiropractic adjustments were not safe, professional athletes worth millions of dollars all over the world, would not be getting adjusted on a regular basis. This day in age, many professional sports teams have a Chiropractic Doctor on their medical staff to care for the players. If Chiropractic Adjustments were not safe, I do not believe most health & auto insurance companies would pay for Chiropractic care, as they do. If Chiropractic Adjustments were not safe, Chiropractors would likely have the highest malpractice insurance premiums of all health/medical professionals, however Chiropractors have one of the least expensive malpractice premiums. 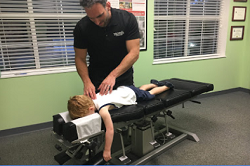 I think it is safe to say, Chiropractic adjustments are safe 🙂 If you do not like or want manual/hands-on adjustments, in our practice, we have other techniques that can be used via a special table or instrument to fit your preference. The potential risks associated with adjustments are extremely rare and informed consent is always given to patients before any treatments are done. The first visit to our office includes a consultation with the Doctor reviewing any and all symptoms or problems you may be having. After the consultation, the Doctor will do a full Chiropractic Examination, typically checking your entire spinal column and any extremities that may be part of the problem(s). This first visit with the Doctor is about 45 minutes. In our office, ONLY the Doctor does a face to face consult and exam with you, no other staff will do this. The Doctor will check your Ranges of Motion, Balance and Posture. Then perform a few Orthopedic and/or Neurological tests as necessary, do manual palpation/feeling of all necessary joints and muscles and perform a sEMG scan of your entire Spinal Column to further assess any muscle imbalances. Depending on the patient’s exam findings and needs, the Doctor may do a treatment on the first visit but sometimes will not. Not all patients need X-rays, however, many times we will get X-rays done for further diagnosis. Pregnant women have several additional stresses put on their body. First, the hormonal changes, can do a number on a women’s body. Ligament laxity or loosening of the ligaments is one example. The change in hormones with pregnancy causes the ligaments that connect bone to bone to loosen, which makes it easier to mis-align. Now add 25-35lbs of weight gain, most of which is an uneven distribution of weight at that (mostly around the abdomen). Furthermore, the inability to sleep on her back(the best sleep posture for the spine) and yet still, a growing fetus that sits right in front of the sacrum, in the middle of the pelvis. How can she possibly stay in normal alignment and balance? I have yet to work with a pregnant patient where there was NO misalignment present around the pelvic and sacral joints. When these women see a Chiropractor, most say they have an easier time with pregnancy and often a shorter labor & delivery. Children and Pregnant Women should at the very least be examined by a Chiropractor. If symptoms are already present, it’s a no-brainer to make an appointment! We Take Same Day Appointments! I am currently 36 weeks pregnant and have been going to Dr. Sandez for a couple of months now. I have been to a few chiropractors in the past but have never gotten such great results. I also didn't realize I could feel this good being this late in pregnancy! Dr. Sandez takes a holistic approach and looks at what is going on with each individual. I would highly recommend him!